Trips run in groups of 10. Larger groups are divided among boats. There is no minimum age for snorkeling. Children must be confident swimmers and able to hold a snorkel in their mouth. 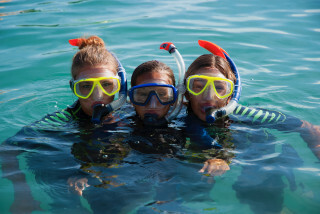 For kids under 16, parents should be with them at the dive center to sign permission form. Kids under 12 years should have their parents in the water with them. Please bring a swimsuit, a towel, and we recommend sunscreen as well. This tour is available in English, German, French, Spanish, Danish, and Swedish. 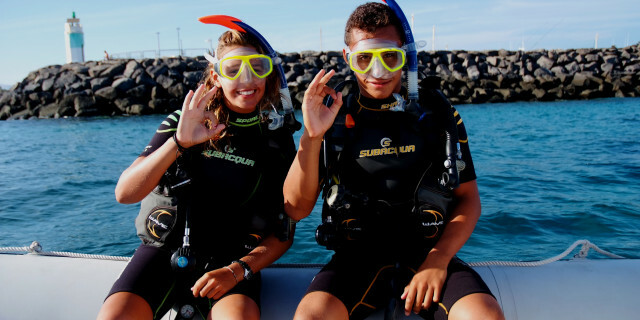 When you’re exploring the seas of Fuerteventura, there’s almost too much to look at. The combination of Mediterranean, Atlantic, and local species creates a diverse and unique ecosystem. By snorkeling respectfully, appreciating this natural gem is a must when in Fuerteventura. You meet your instructor at the dive center located in the town of Caleta de Fuste, on the eastern side of the island. 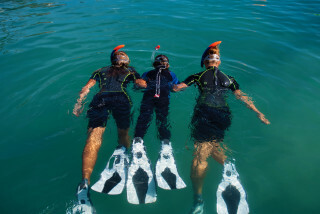 With this snorkeling trip, you can either head straight to the sea or take an introductory course in the pool before. 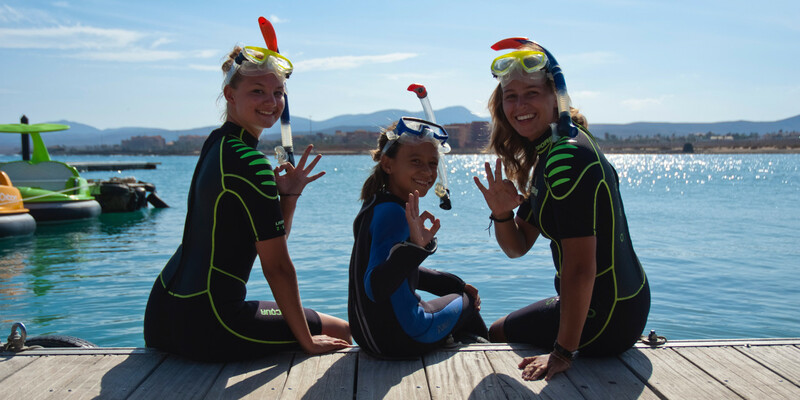 Your instructor teaches you how to kick with fins, breathe through the snorkel, and control your buoyancy to protect both you and the environment. After the short lesson, a boat takes you out to the open water, not far from the harbor. Kick your fins on the surface of the ocean and witness the underwater world below you. From the famous parrotfish to pointy sea urchins, you can see a range of creatures passing under and around you. Maybe even a ray will come gliding by. Because it's the oldest island of the Canary's and it's environment hosts incredible nature, Fuerteventura received a UNESCO biosphere reserve label in 2009. This name ensures the sustainable development of areas with impressive biodiversity. Yust beyond the beautiful beaches of Fuerteventura lies an entire expanse of thriving underwater life. Snorkel through this sparkling setting for an amazing and respectful discovery just beyond the sandy coast.